Why it matters: Netflix is being sued for using the phrase "choose your own adventure" in the interactive movie Black Mirror: Bandersnatch. The company that produces the series of children books by the same name is claiming trademark infringement and damages against its brand. 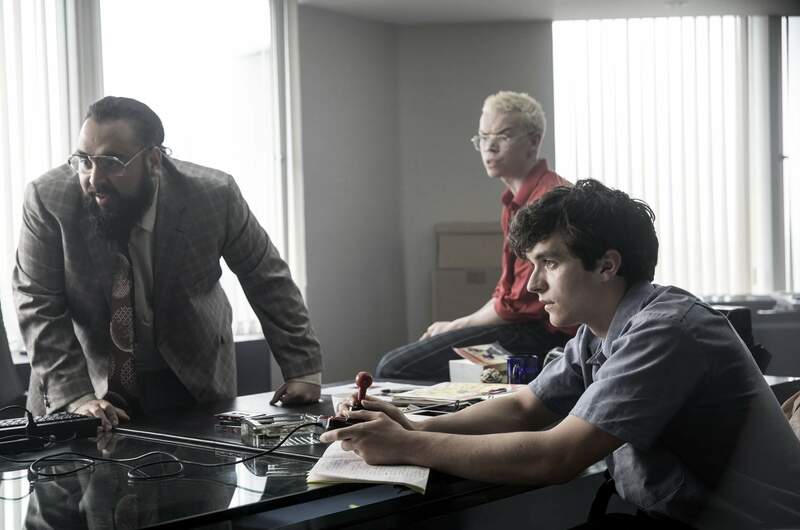 Chooseco, publisher of the Choose Your Own Adventure series of books has filed a lawsuit against Netflix over its interactive movie Black Mirror: Bandersnatch. The complaint filed in US District Court in Vermont claims that the movie-streaming service willfully infringed its trademark and damaged the brand’s reputation. The plaintiff contends that Netflix initiated negotiations to license the “Choose Your Own Adventure” trademark in 2016. Chooseco ultimately decided against allowing the name to be used. Since that time the children’s books publisher has sent the streaming company at least one cease-and-desist notice over a different interactive TV program. While Netflix does not use the trademarked phrase in the title, description, or marketing of Bandersnatch, it seems Chooseco is concerned over a line in the film that uses the brand name. The movie’s main character, Stephan Butler, refers to a fictitious novel as a Choose Your Own Adventure book. "In the first few minutes of the movie, the protagonist refers to a fictional book in the diegesis as a 'Choose Your Own Adventure' book. Netflix has no license or authorization to use Chooseco's trademark." Chooseco claims that this reference gives the implication that the book (also titled Bandersnatch) in the movie is part of its official series. The lawsuit states that the “dark” content of the film includes “depictions of a demonic presence, violent fighting, drug use, murder, mutilation of a corpse, decapitation, and other upsetting imagery,” which is true. “Association with this grim content tarnishes Chooseco’s famous trademark,” the filing alleges. The publisher's target audience is generally young adolescents from ages seven to 14. Bandersnatch was produced for a much more mature audience. Chooseco does not like the association drawn between the movie and its books. Even though some the company's more recent marketing attempts have been aimed at adults, the books are still geared for kids. "Part of Chooseco's marketing strategy includes appealing to adults now in their twenties, thirties, and forties who remember the brand with pleasant nostalgia from their youth and then buy Choose Your Own Adventure books for their own children," the complaint reads. The plaintiff is seeking $25 million in damages. Netflix has yet to comment on the case.